10/12/15 -- EU grains were lower for most of the day, but ended mixed. at the end of play. At the finish, Jan 16 London wheat was down BP0.60/tonne at GBP112.55/tonne, Mar 16 Paris wheat was up EUR0.50/tonne to EUR177.50/tonne, Jan 16 corn was up EUR0.25/tonne at EUR165.00/tonne and Feb 16 rapeseed was EUR3.25/tonne lower to EUR373.75/tonne. The pound rose against the euro again today following the news that the BoE voted 8-1 to keep UK interest rates on hold at 0.5%. Whilst this 8-1 impasse remains, the chances of an rate increase appear to stay firmly entrenched into 2016. The USDA didn't really offer us anything new in last night's WASDE report, so we are stuck now wondering where the next piece of serious market-giving direction is going to come from. What the USDA did underline was a backdrop of very ample global supplies and rising stocks levels, combined with stiff export competition. On the wheat front, US and Europe are seen losing ground in the foreign sales league table, with Canada, Ukraine and Argentina all seeing increased export activity than what was forecast a month ago. Stocks meanwhile in the US and Europe are building. "Although US export prices are at a 5-year low, they remain mostly uncompetitive beyond traditional markets, resulting in stocks projected at a 6-year high," they said. "Production in the EU is projected at a record and stocks are at an 8-year high. While EU exports are the second highest ever, intensified competition with Russia and Ukraine is constraining exports. It is likely that exporter prices will remain under downward pressure, but much depends upon the development of the 2016/17 Northern Hemisphere wheat crop," they added. Highlighting how difficult some parts of Europe are finding it to place this year's record wheat crop (despite the weak euro) FranceAgriMer said yesterday that French soft wheat ending stocks at the end of the current season would total 5.2 MMT, around double the normal level. They also raised their estimate for France's corn ending stocks by 0.5 MMT from a month ago, and increased those for barley by 0.3 MMT. Looking ahead to production prospects for 2016/17, France is expected to plant even more wheat than it did for this year's ultimate record 41 MMT soft wheat crop - an 80 year high in sown area in fact. UK wheat plantings are estimated around unchanged despite low prices, with the crop offering "the best of a bad bunch" in terms of returns. That scenario is/has been replicated across the whole of Europe. MDA CropCast today became the latest analyst to forecast plantings for next year's harvest virtually unchanged at 25.2 million ha (versus 25.3 million a year ago). They see production falling a relatively modest 2.6% next year as yields return to more "normal" levels. That makes for a drop of around 4 MMT in output in Europe next year, although consider also that yesterday's USDA report has that decrease entirely covered, and more, by a more than 5.4 MMT hike in Europe's ending stocks at the end of the current season. That potentially puts us in a similar, if not even marginally worse, situation entering 2016/17 than we began the current season. A Reuters report noted that the FranceAgriMer stocks numbers made no provision for a possible drop in feed demand in France due to the current bird flu outbreak, nor a fall in demand from the biofuel sector with Spanish-owned firm Abengoa "teetering on the verge of bankruptcy." The EU bioethanol industry clearly isn't proving to be the savior that cereal growers here had envisaged. Ukraine said that it's 2015 harvest was nearing completion at 61 MMT, and said that they hoped to see that increase to 100 MMT inside 5 years. Exports could rise from an anticipated 36 MMT this season to 70 MMT inside the same 5-year period, they suggested. 09/12/15 -- Soycomplex: Beans closed with little change. Save for a 1.5 MMT reduction in production in India this year there were no big changes to output in the major like US, Brazil or Argentina. The US is finding the global soybean export market a bit more competitive this year. "As of the week ending November 26, US 2015/16 soybean commitments (outstanding sales plus accumulated exports) to China totaled 18.9 MMT compared with 24.9 MMT a year ago. Total commitments to the world are 32.9 MMT, compared with 39.6 MMT for the same period last year," they noted. Global palm oil production was lowered from 65.1 MMT a month ago to 62.6 MMT, with Malaysia cut by 2 MMT and Indonesia down 0.5 MMT. Trade estimates for tomorrow's weekly export sales report are around 800 TMT to 1 MMT for beans. Export sales last week were 878,300 MT. Jan 16 Soybeans settled at $8.76 3/4, unchanged; Mar 16 Soybeans settled at $8.79 3/4, also unchanged; Dec 15 Soybean Meal settled at $278.80, up $2.20; Dec 15 Soybean Oil settled at 30.86, down 37 points. Corn: The corn market closed narrowly mixed. In the USDA's December WASDE report "global (corn) output was lowered slightly from November with increases for Canada (+1.3 MMT), offset by decreases for South Africa (-0.8 MMT) and India (-1.5 MMT) following recent dry weather," said the HGCA. As far as exports go, those from the US were cut 1.5 MMT to 44.5 MMT, partially offset by an increase of 1 MMT for Brazil (up from 33 MMT to 34 MMT). World 2015/16 ending stocks were almost identical to a month ago, and in line with expectations, at just under 212 MMT. The US Energy Dept said that weekly US ethanol production came in at 993,000 barrels per day, up from 956,000 barrels per day the previous week (where output was lowered due to Thanksgiving), but down from the record 1.008 million barrels per day of the week before that. Trade estimates from tomorrow's weekly export sales report are around 550,000 MT versus 499,400 MT a week ago. Dec 15 Corn settled at $3.71 3/4, up 1 3/4 cents; Mar 16 Corn settled at $3.73 3/4, up 1/4 cent. 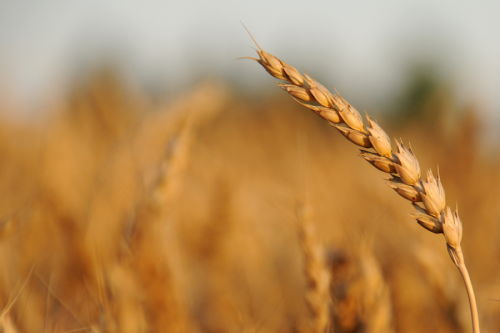 Wheat: The wheat market closed around 4-8 cents higher. In the USDA report: "Global wheat production forecasts climbed again due to increases for Canada (+1.6 MMT) reflecting last week’s data from Statistics Canada, and the EU (+0.4 MMT). Total demand was broadly unchanged as increases in feed wheat imports and consumption in South East Asia (mainly Thailand and Indonesia), were offset by lower animal feed demand in the EU. End-season stock forecasts were increased as a result – principally in the EU and Canada," said the HGCA. The USDA cut Europe's share of the global wheat export market in 2015/16 to 20% from last season, and 1 MMT less than they predicted a month ago on "a slower than expected pace and sluggish export licenses." Ukraine was boosted 500,000 MT to 15.5 MMT "based upon a significantly faster pace of feed-quality wheat shipments, particularly to Southeast Asia. Canada was up 0.5 MMT "on the continued strong pace of trade to date and a larger than anticipated crop." Argentina was increase 1 MMT "on the announced elimination of export taxes and quotas by the (NEW) incoming government." Tomorrow's weekly export sales are estimate at around 400 TMT. Dec 15 CBOT Wheat settled at $4.78, up 7 1/4 cents; Dec 15 KCBT Wheat settled at $4.67 1/4, up 8 cents; Dec 15 MGEX Wheat settled at $5.22 3/4, up 4 1/2 cents. 09/12/15 -- EU grains close mixed, with the December WASDE report from the USDA providing little in the way of fresh impetus, or market-moving direction - the world still has very ample supplies of wheat, coarse grains and soybeans heading into 2015/16. At the close, Jan 16 London wheat was up GBP1.05/tonne at GBP113.15/tonne, Mar 16 Paris wheat was up EUR0.50/tonne at EUR177.00/tonne, Jan 16 Paris corn was EUR1.25/tonne higher at EUR164.75/tonne, whilst Feb 16 Paris rapeseed fell EUR2.25/tonne to EUR377.00/tonne. "The projected glut in 2015/16 global wheat supplies is pressuring export prices to the lowest level since July 2010. While world production and consumption are forecast at a record and global trade at a near-record, stocks continue to build. Although lower prices are stimulating additional demand, it is not enough to offset burdensome supplies. Exporter stocks are generally available to the world, and are therefore inversely related to global prices," the USDA said. They raised world wheat production by 2 MMT to a new record 735 MMT. Most of that (1.6 MMT) came from Canada, although there was yet another tweak higher in the size of the EU-28 crop, taking that up to a fresh all-time high of 157.7 MMT. World wheat consumption was lowered a fraction, including a 1 MMT decrease here in the EU-28, and ending stocks were subsequently raised 2.5 MMT to just shy of 230 MMT. The global wheat export arena is seen getting even more competitive in 2015/16, with the EU-28's foreign sales cut 1 MMT to 32.5 MMT, some 2.9 MMT less than last season. That gives the EU-28 a 20% share of the world wheat export market this season, as opposed to 22% in 2014/15. Increased competition this season is seen coming from Canada (up 0.5 MMT from a month ago), Argentina (up 1 MMT) and Ukraine (up 0.5 MMT). Russia's export potential was left unchanged at 23.5 MMT, although this is still 700,000 MT more than in 2014/15. For other grains, the UDSA lowered world corn production by 1 MMT today to just under 974 MMT, but also reduced consumption by a similar amount to just over 970 MMT. That keeps ending stocks almost identical to a month ago at nearly 212 MMT. It was similar story for the state of global barley supply and demand, with production, consumption and ending stocks all only receiving minor tweaks of less than 0.5 MMT, essentially leaving the global balance sheet unchanged compared with November. Despite a near 3 MMT, or almost 12%, drop in European rapeseed production this year, EU-28 imports are seen declining just 5% versus last year (and nearly 38% below what they were in 2013/14) as we chose to eat into out stocks from 2014/15. These are seen falling nearly 47%, despite a 1.4 MMT reduction in the size of the domestic crush this season. In other closer to home news "French common wheat exports are lagging behind last year’s pace by 13%, according to the latest French customs data. Exports have struggled to keep up with last year’s pace so far this season, due to tougher competition in Europe," said the HGCA. Although progress has been more positive for barley "with cumulative exports exceeding last year’s level by over 40%," they add. China has been a "new" featured buyer having bought over 2 MMT of French barley in the first four months of this season versus only 708 TMT at this time last year, they note. Even closer to home, backing up what's been discussed on here several times of late "the continuing and indeed widening price carry between old and new crop wheat, indicates that the UK should prepare for further expansion in stocks come the end of this marketing season, in June 2016," the HGCA's Jack Watts observed. We're still less than halfway through the marketing year of course, but whichever way you look at it these could rise from around 2.4 MMT at the end of 2014/15 to close to 3.0 MMT using even the most optimistic outcome. Even that would still breach the domestic stocks peak seen in 2008/09. And note, "that to achieve this level... the export pace in Nov-Jun would have to exceed 198 TMT per month on average – something that hasn’t been seen since 2011/12 when quality was excellent, currency favourable and feed wheat demand strong," Jack observes. A more "middle of the road" scenario for the remainder of 2015/16 would see UK wheat ending stocks at around 3.7 MMT, over 50% more than at the end of last season. 08/12/15 -- Soycomplex: Beans and meal closed loser. Oil continues to outperform. Tomorrow's WASDE report isn't expected to throw up too many wild changes for beans, coming as it does after the northern hemisphere harvest has finished, and whilst plantings in the southern hemisphere are still ongoing. Customs data shows that China imported 7.39 MMT of beans last month, taking the the Jan/Nov month total to 72.57 MMT, up 15% from a year ago. The trade now seems less concerned than it was that the recent Macri victory in the Argentine presidential elections will be a sudden "game changer" for beans. Jan 16 Soybeans settled at $8.76 3/4, down 5 1/2 cents; Mar 16 Soybeans settled at $8.79 3/4, down 6 cents; Dec 15 Soybean Meal settled at $276.60, down $2.30; Dec 15 Soybean Oil settled at 31.23, up 25 points. Corn: The corn market closed a touch higher. Brazilian corn exports set a record high volume in November at 4.9 MMT, and look set to beat that achievement in December. The trade is looking for world corn ending stocks to be 212.08 MMT in the WASDE report tomorrow, little changed from 211.91 MMT a month ago. Argentine production is seen a touch higher at 25.67 MMT versus 25.6 MMT a month ago. Brazilian output is forecast slightly down at 81.46 versus 81.50 MMT in November. Dec 15 Corn settled at $3.70, up 1 1/2 cents; Mar 16 Corn settled at $3.73 1/2, up 1/2 cent. Wheat: The wheat market closed mixed. As with the other grains, the December WASDE report isn't usually a big market mover. Japan are in the market for 119,165 MT of US, Canadian/Australian wheat in their regular weekly tender with the results expected Thursday. ABARES reduced their forecast for Australia's 2015/16 wheat exports from 17.5 MMT to 16.96 MMT following a downwards revision (-1.3 MMT to 24.0 MMT) to their production estimate this year. That would however still beat exports of 16.6 MMT in 2014/15. Dec 15 CBOT Wheat settled at $4.70 3/4, up 1/2 cent; Dec 15 KCBT Wheat settled at $4.59 1/4, down 2 1/4 cents; Dec 15 MGEX Wheat settled at $5.18 1/4, down 3 3/4 cents. 08/12/15 -- EU grains traded mixed mid-morning, but were lower across the board by the finish. At the close, Jan 16 London wheat was down GBP1.15/tonne at GBP112.10/tonne. In Paris, Dec 15 wheat was down EUR3.00/tonne to EUR168.75/tonne, Jan 16 corn was EUR1.75/tonne lower at EUR163.50/tonne and Feb 16 rapeseed had fallen EUR3.75/tonne to EUR379.25/tonne. In France, Senalia and Nord Cereales announced that they were re-opening their silos in Rouen and Dunkirk for the intake of wheat again after a recent temporary closure whilst they waited for exports to pick up. They join Socomac who made such a move with their silo in Rouen last week. The constant opening and suddenly shutting again once full of these facilities - the only ones against which deliveries can be made against the Paris wheat futures contract - has been a real pain, and one which has highlighted the inadequacies of the terms of the MATIF contract in the last few years. This helps explain some of the erratic behaviour that we have seen from the front month Paris wheat contract over the last year or so. Last night's Paris wheat close saw front month Dec 15 end at a EUR7.50/tonne, or 4.4%, discount to the Mar 16 contract. A month ago the difference was EUR5.25/tonne, or 2.9%. By comparison, the differential between Jan 16 and Mar 16 (not exactly the same thing, but not far off) London wheat was 2.7% last night. The old crop/new crop spread in Paris wheat, comparing the Dec 15 and Dec 16 contracts was 10.2% last night. The spread using the currently less technical Mar 16 contract and the forward Mar 17 position was only 6.7%. In London, the Jan 16/Jan 17 spread was still a rather wide 13.6%. In a market seemingly devoid of opportunities, trading around these spreads and premiums appears to offer some sort of hedging possibilities. Note too that there are additional premiums on offer for the very far forward Nov 17 London wheat and Dec 17 Paris wheat contracts too. It may be worth considering at this stage that Australia's ABARES today forecast that they expect world wheat prices (in US dollar terms) to average out at a 10-year low $215/tonne this season. In other news, Russia said that they'd exported 19.34 MMT of grains so far this season (Jul 1 to Dec 7), including 13.69 MMT (or 72%) of wheat. Their 2015 calendar year grain exports are said to be 32.21 MMT, of which 19.36 MMT (60%) was wheat. 07/12/15 -- Soycomplex: Beans closed with heavy losses, and are now back below the $9/bu mark. Weekly export inspections of 1.721 MMT were pretty decent, although YTD exports are only 92% of what they were a year ago. That was of course a record pace however. Brazilian weather is unchanged. Dry in the north/central areas and wet in the south. "Rainfall in the upcoming week is expected to continue below average in Mato Grosso and smaller soybean states to the north and east. Very generous rainfall 3-4 times normal is predicted in South Brazil. In between rather favourable rainfall is expected in Mato Grosso do Sul, southern Goias and Minas Gerais, all significant growing areas for soybeans," said Martell Crop Projections. The US Ag Attache in Argentina increased Argentine soybean exports to 11 MMT in 2015/16. The USDA are currently at 10.7 MMT and are due to release revised numbers on Wednesday. Jan 16 Soybeans settled at $8.82 1/4, down 23 3/4 cents; Mar 16 Soybeans settled at $8.85 3/4, down 22 1/4 cents; Dec 15 Soybean Meal settled at $278.90, down $6.20; Dec 15 Soybean Oil settled at 30.98, down 82 points. Corn: The corn market closed around 7-8 cents lower. Crude oil closed below $38/barrel, to levels not seen since 2009, which clearly didn't help. OPEC seem in disarray concerning how to best support crude oil prices whilst stimulating demand hit by fracking. Weekly export inspections of 491,879 MT were moderate. YTD inspections are now 2.38 MMT smaller than they were this time a year ago. Mexico were reported to have purchased 115,000 MT of US corn this morning for 2015/16 delivery under the daily reporting system. Russian seaports were reported to have shipped out 44,800 MT of corn last week. 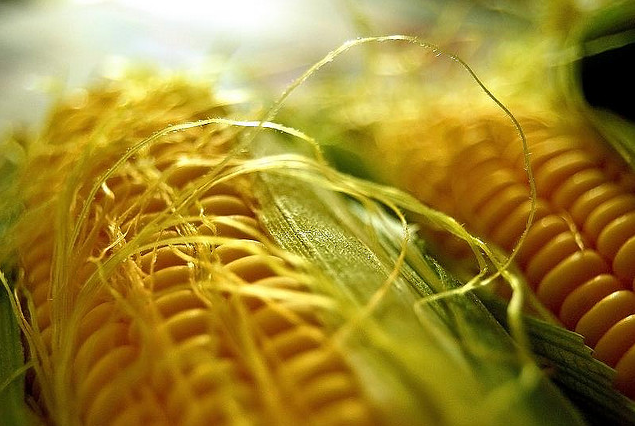 Ukraine seaports exported 212,900 MT of corn last week. Commerzbank said that there was little chance of seeing corn returning above $4/bu in Chicago in the coming 12 month period. China imported a record monthly volume of 32.6 million gallons of US ethanol in October. For the first time ever, China served as the top customer for US ethanol, buying nearly half of all US ethanol exports of 70.1 million gallons. Canada was the second-leading destination. Total year-to-date US ethanol exports are 695.0 million gallons, 4% more than this time last year. Dec 15 Corn settled at $3.68 1/2, down 7 3/4 cents; Mar 16 Corn settled at $3.73, down 8 1/2 cents. Wheat: The wheat market closed a bit lower, to varying degrees, across the three exchanges. Weekly export inspections of 225,034 MT were uninspiring, being 16.7% smaller than the same week a year ago. Season to date exports are 15% down year-on-year at 10.530 MMT. Dr Cordonnier reported that the wheat harvest in Rio Grande do Sul in southern Brazil is now complete. The heavy persistent rains that have dogged the growing season have taken the shine off the crop for another year it seems. "The total wheat production in the state is estimated at 1.48 MMT, which is down 34% from the 2.26 MMT estimated at the start of the growing season. In 2014, the state produced 1.67 MMT of wheat," he says, This then is the state's second poor wheat crop in a row, with low yields and poor quality. "Farmers in the state have already indicated that they intend to reduce their wheat acreage again in 2016. Therefore, it is estimated that Brazil's wheat imports will increase again next year," he adds. Indian temperatures 2-4C above normal are delaying wheat plantings and could ultimately cut yields, some are already suggesting. Ukraine said that 83% of it's winter grains area had emerged, of which 34% was in a weak/thinned condition. Dec 15 CBOT Wheat settled at $4.70 1/4, down 1 cent; Dec 15 KCBT Wheat settled at $4.61 1/2, down 2 cents; Dec 15 MGEX Wheat settled at $5.22, down 6 1/4 cents. 07/12/15 -- EU grains began the week on the offensive, albeit modestly so, with most positions closing higher. At the finish, Jan 16 London wheat was up GBP2.00/tonne at GBP113.25/tonne, Dec 15 Paris wheat was down EUR1.25/tonne to EUR171.75/tonne (although other months closed higher), Jan 16 corn was unchanged at EUR165.25/tonne and Feb 16 rapeseed was EUR1.50/tonne higher to EUR382.50/tonne. London wheat still remains rangebound - we haven't seen a front month close outside the GBP110-120/tonne zone in nearly 4-months. Meanwhile Paris wheat trades mostly in the EUR170-180/tonne range, save for one or two short-lived attempts to break out to the upside early in November. Similar comments apply to corn, with the market only managing two daily closes above EUR170/tonne since the 2015 harvest began, with that commodity seemingly also stuck in a EUR10/tonne range between EUR160-170/tonne. Paris rapeseed keeps threatening to test recent highs around the EUR385/tonne region, and perhaps looks the most likely of the bunch to move onto new and higher ground before too long. A bit more help from soybeans wouldn't go amiss to help achieve that target. Meanwhile, feed demand remains "as quiet as I've ever known it for this time of year" one trader commented to me today, so we can't go expecting too much assistance from that quarter. Russia's grain exports via seaports slackened off last week, down from 471.5 TMT the previous week to 370.2 TMT as of Sunday, a 21.5% reduction. Wheat accounted for 86%, or 319.4 TMT of that total. The same trend was seen in Ukraine, with exports via seaports there down 19.4% week-on-week to 322.2 TMT. That includes 109.3 TMT of wheat (34%) and 212.9 TMT (66%) of corn. Interestingly neither Russia or Ukraine exported any barley via their seaports last week. Delays to both Russian and Turkish vessels getting in and out of each others waters/ports keep getting reported. The Ukraine Ag Ministry said that winter grains there had emerged on 83% (or 5.6 million ha) of the planted area, with a further 1.1 million ha has yet to germinate. They say that 66% of what has emerged is in a good to satisfactory condition. That leaves 1.9 million ha officially rated as "weak/thinned". Those figures don't include winter rapeseed. Germination there is placed at 564.6k ha, or 87% of the planted area, Crop ratings are similar at 67% good/satisfactory and 33% weak/thinned. Jordan tendered for 25,000 MT of durum wheat for Jan 1-25 shipment. They are also said to have agreed to buy 400,000 MT each of hard wheat and feed barley from a UAE seller for delivery over the next 2 years. They regularly find their international tenders meet with few, and sometimes no offers at all due to their stringent contract requirements. 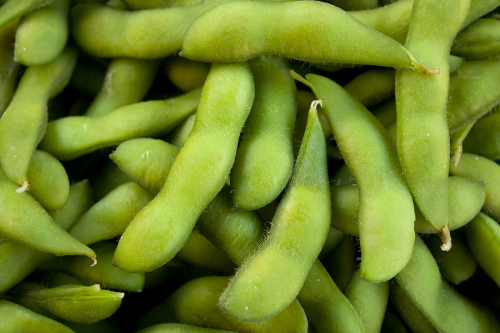 04/12/15 -- Soycomplex: Beans closed higher on the day and for the week. Meal was lower on the day but posted a small weekly gain, whilst oil was up more than 300 points versus last Friday on ideas that biodiesel will make up much of the newly increased RFS mandate. The Argentine Ag Ministry said that growers there are 77% sold on their old crop beans versus 71% a year ago. New crop is 4% sold against 3% committed a year ago. The Buenos Aires Grain Exchange said that Argentine soybean plantings are 54.4% complete. Safras e Mercado estimated Brazil's 2016 soybean production at a record 100.4 MMT, down 0.1 MMT from their previous projection. The USDA are at 100 MMT. Stats Canada estimated 2015 Canadian canola production at 17.2 MMT, far higher than the average trade estimate of 15.6 MMT and the 14.3 MMT forecast in October (and the USDA at 15.5 MMT). A Bloomberg survey into trader/analyst sentiment on soybeans found Bullish: 9 Bearish: 6 Neutral: 6. The USDA reported export sales of 178,000 MT of soybeans for delivery to China and 249,000 MT of soybeans for delivery to unknown destinations, both for shipment during the 2015/16 marketing year under the daily reporting system. Jan 16 Soybeans settled at $9.06, up 8 1/2 cents; Mar 16 Soybeans settled at $9.08, up 7 3/4 cents; Dec 15 Soybean Meal settled at $285.10, down $2.00; Dec 15 Soybean Oil settled at 31.80, up 121 points. For the week Jan 16 beans were 33 cents higher, Dec 15 meal was up $2.70 and Dec 15 oil advanced 305 points. Corn: The corn market closed around 4-6 cents higher on the day and with good gains for the week also. The move came despite crude closing the week below $40/barrel on news that OPEC had agreed to "informally" raise its output ceiling to 31.5 million barrels/day, up 1.5 million from the previously agreed level. That said, production in November was already said to have been 31.77 million barrels/day, so the previous "limit" of 30 million was already pretty informal. Saudi Arabia maintains it's "deep pockets" approach, saying it is working hard to break the fracking industry and re-capture market share. Brussels issued 311 TMT worth of corn import licences this past week, taking the season to date total to 4.7 MMT. Spain said that they'd imported 1.25 MMT of corn in Q1 of 2015/16, a 10% increase on the same period a year ago. The Argentine Ag Ministry said that growers there are 82% sold on their old crop corn versus 88% a year ago. New crop is 6% sold against 10% committed a year ago. The Buenos Aires Grain Exchange said that Argentine corn plantings are 43.6% complete. They were unchanged on their estimate for plantings of corn for grain at 2.72 million ha this year. There's still plenty of trade talk of there being just enough time for new Argentine president Macri's recent election victory having come just in time for Argentine growers to increase this area to closer to 3.0 million ha this year. A Bloomberg survey into trader/analyst sentiment on corn found Bullish: 7 Bearish: 4 Neutral: 10. Dec 15 Corn settled at $3.76 1/4, up 6 cents; Mar 16 Corn settled at $3.81 1/2, up 4 1/2 cents. For the week Dec 15 corn was 17 cents higher and Mar 16 rose 14 1/4 cents. Wheat: The wheat market closed around 4-6 cents higher on the day and with gains of varying magnitude for the week - led by a Minneapolis market searching for quality. The Argentine Ag Ministry estimated that the 2015/16 wheat harvest there is 31% done, up 20 points versus a week ago. The Argentine Ag Ministry said that growers there are 109% sold on their old crop wheat versus 80% a year ago. New crop is 8% sold against 31% committed a year ago. A Bloomberg survey into trader/analyst sentiment on wheat found Bullish: 6 Bearish: 11 Neutral: 4. CBH Group estimated the Western Australia grains crop at 12.5 MMT versus 13.0 MMT previously. Wheat accounts for around 60% of that, ie. 7.5 MMT versus 7.8 MMT previously. That's down 14%, or 1.2 MMT, versus the current government forecast. Stats Canada put the Canadian all wheat crop at 27.6 MMT versus their October estimate of 26.06 MMT and the average trade estimate of 26.7 MMT. The USDA are at 26.0 MMT. Brussels issued a marketing year high soft wheat export licence total of 1.04 MMT this week, an 88% increase on a week ago. That takes the cumulative season to date total to 9.76 MMT. Whist that's down 23% versus this time year ago things were 30% behind a year ago just two weeks back. The French Ministry today released their first estimates on plantings for the 2016 harvest. They see the French winter wheat area up 1.5% to 5.22 million ha - the largest area sown for 80 years. 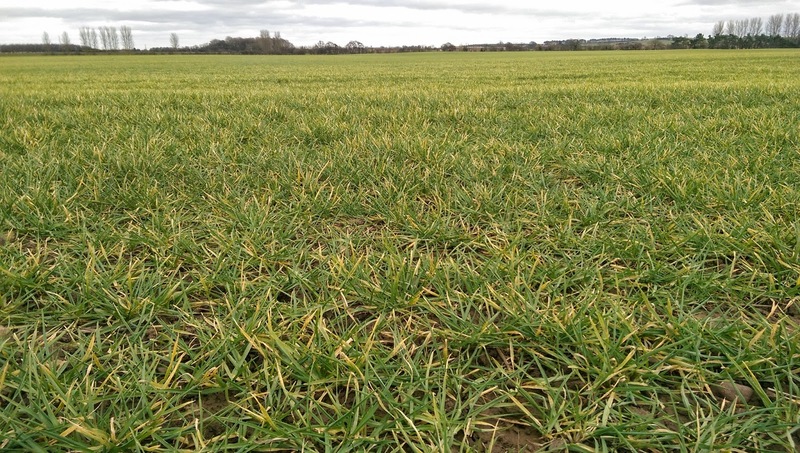 French winter wheat is currently seen at 98% good to very good and winter barley is 97% good to very good, both versus 93% a year ago. Dec 15 CBOT Wheat settled at $4.71 1/4, up 6 1/2 cents; Dec 15 KCBT Wheat settled at $4.63 1/2, up 4 3/4 cents; Dec 15 MGEX Wheat settled at $5.28 1/4, up 6 1/4 cents. For the week Chicago wheat was up 5 1/2 cents, with Kansas rising 13 1/2 cents and Minneapolis up 18 1/4 cents.